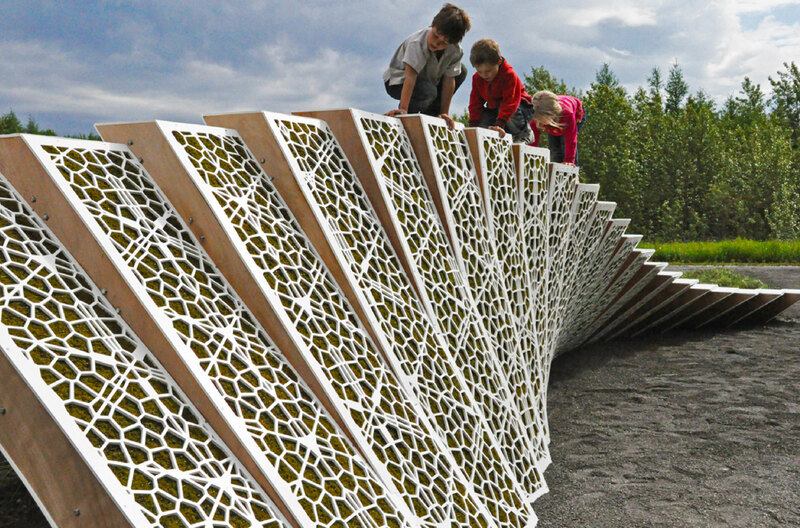 Revisiting the garden wall, an element that has been a consistent expresive element within the history of gardening, the entry wall is transformed to form a twisted ribbon-like surface with the help of associative design and modelling techniques. Its undulating form is a response to and gesture for a new entry procession while also embedding an experimental moss garden within its surface. 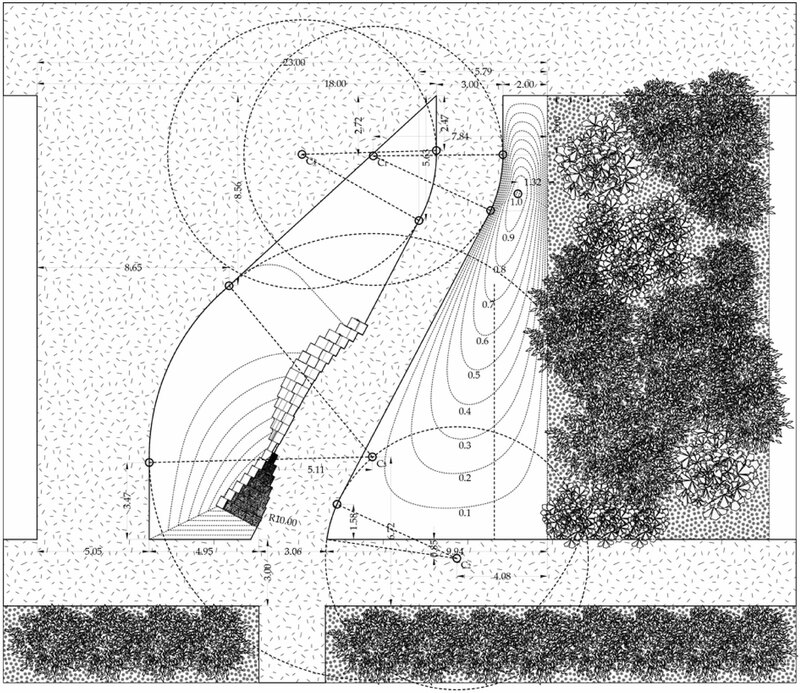 In addition to articulating an entry sequence, the surface is intended to invite visitors to find many personal ways to engage, colonize and interact with the garden (from interacting with its micro moss surface to appropiating the whole surfaces as a ground). The surface flips in function and association between a wall, a ground and a cover while creating multiple orientations and different microclimates for the moss garden. The surface’s multiple orientations offers a number of different growing environments for the moss, from slopes exposed to sunlight to constantly shaded overhangs. These microclimates informed the distribution of a number of moss species specific to each condition, where the first 11 units were made with Niphotrichum canescens (a sun-loving species), unit 12 is planted with Callicladium haldanianum while the other units remaining (13 to 22) were made with a mixture of Callicladium haldanianum and other shade-loving forest species such as Pleurozium schreberii, Pitilum crista-castrensis and others. Prior to installation, components of the garden were prefabricated in Cambridge, utilizing the various digital fabrication technologies as well as hand crafting facilities available at the Harvard GSD’s fabrication laboratory. Following the fabrication process, the garden was assembled, formed and planted on site at the Redford Gardens over a two week period.